Bahamas Paradise Cruise Line has rolled out free internet for all crew members on all ships in the fleet along with planned enhancements. 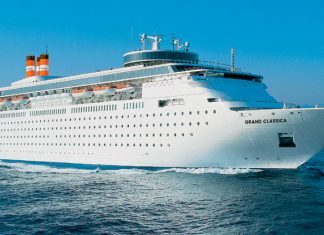 Bahamas Paradise Cruise Line's new cruise ship named Grand Classica has arrived at the Port of Palm Beach, Florida. 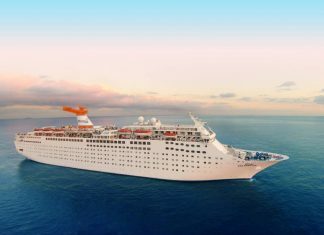 All the details you need to know about Bahamas Paradise Cruise Line's new addition to the fleet. Gand Classica to sail from Port of Plam Beach and is ready for the U.S. market. 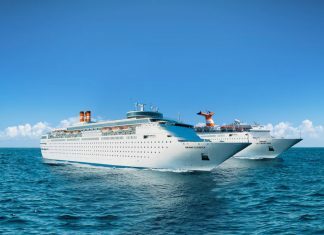 Bahamas Paradise Cruise Line has announced some big news about upgrading a current cruise ship and details about a new addition to the fleet. On Tuesday evening the Grand Celebration cruise ship was delayed in Port of palm beach, Florida due to an electrical issue. 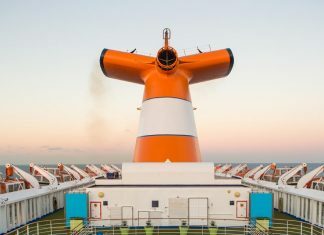 Bad news for passengers who had been looking forward to sailing on the debut voyage of Grand Celebration out of the Port of Palm Beach, Florida.